Louis Marx & Co. 1968. 3 1/2″ tall. 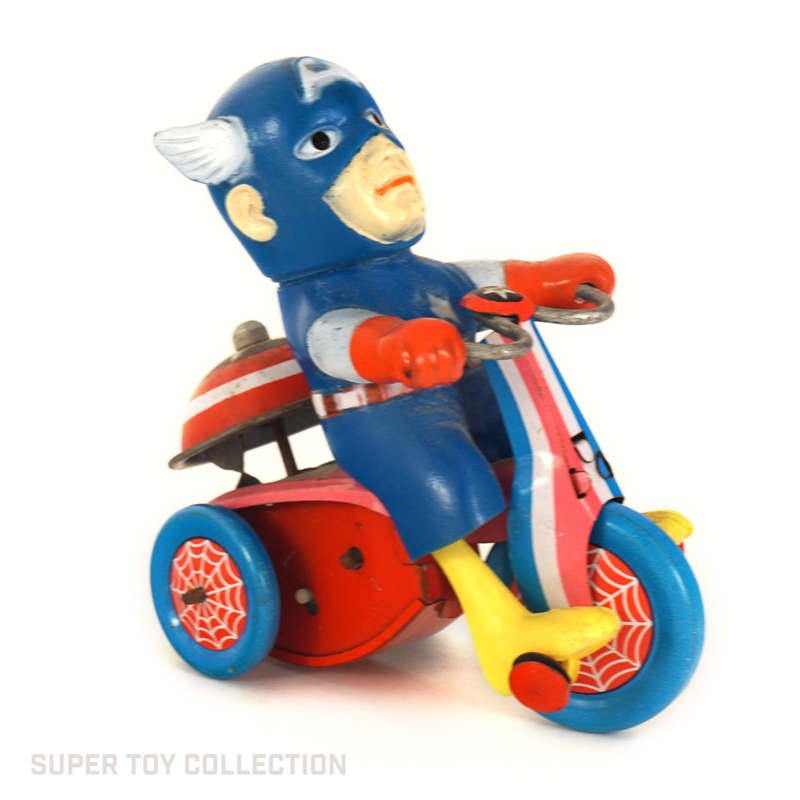 This tin litho toy has a bell shaped as Captain America’s shield that rings as Cap deals around. 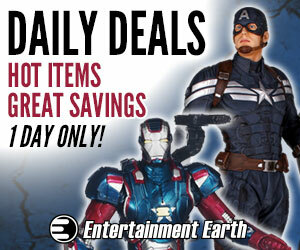 The Captain America figure is soft vinyl with plastic feet. 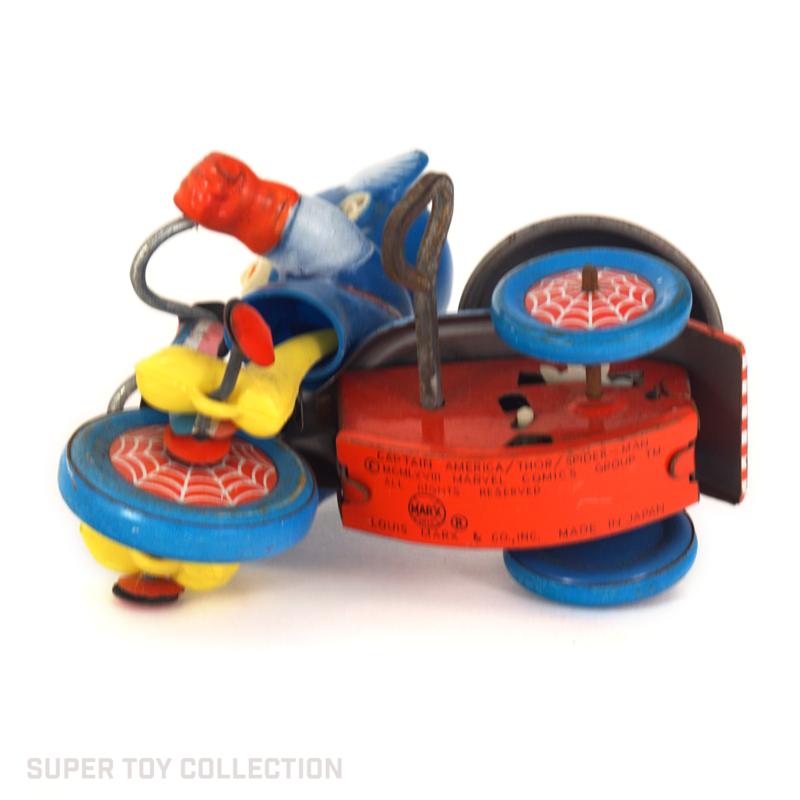 When you wind it up, the toy rides around in circles and rings the bell. The wheel hubs show Spider-Man webs. 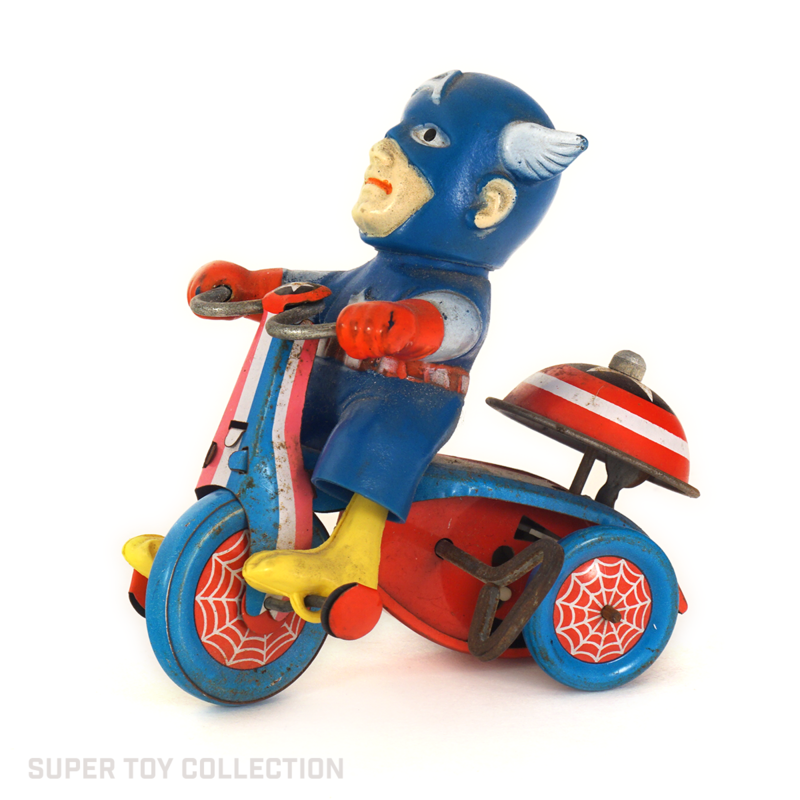 In addition to Captain America, there are also a Spiderman and Thor tricycle wind-ups. 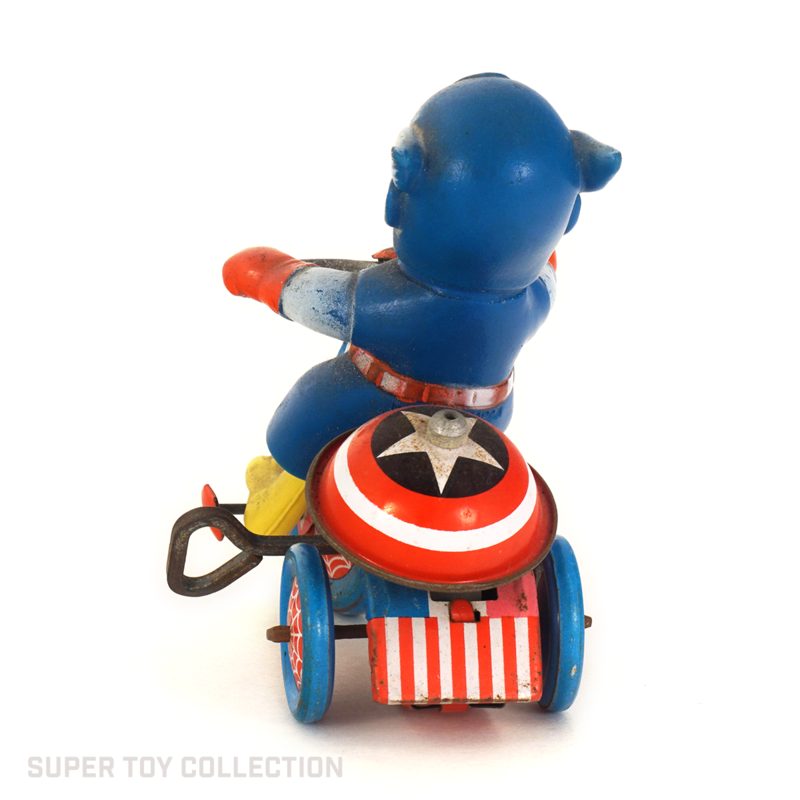 MARVEL SUPER-HEROES 1967 MARX MECHANICAL CAPTAIN AMERICA WIND UP AFA 85 WOW! 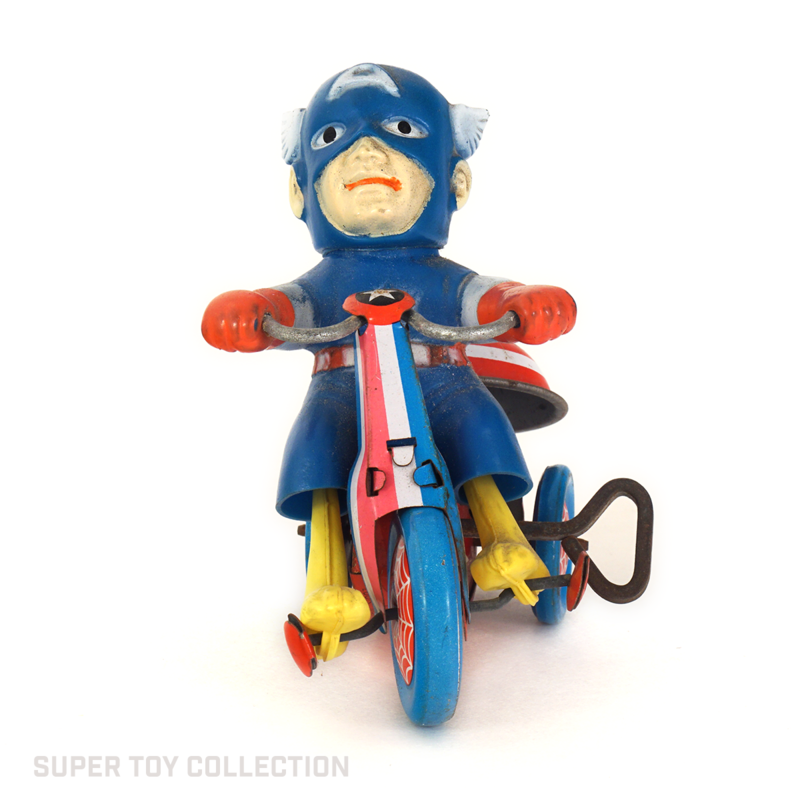 VERY RARE VINTAGE MEXICAN BOOTLEG FIGURE CAPTAIN AMERICA AVENGERS MARX?